Hello, this is my band website. The band's called Morningstar and sometimes it's Morningstar Trio, or Morningstar Small Orchestra or Morningstar Skiffle Band. Anyway, I write the arrangements and some of the songs . Since it started in 1997 the band has included musicians from Bristol, Paris, Tokyo, Bordeaux, Brussels and Montreal. Thats mostly because of friends releasing records in those countries. I've been very lucky to meet so many great people and get the chance to travel around a bit. on this website you'll find the usual kinds of pictures, downloads and links. Thanks for coming. hear a song from "a sign for the stranger"
"a sign for the stranger" is finished and crazily i'm working on a second edition of it cos i loved playing those songs with different formations so much. i was going for a kind of bob dylans john wesley harding and ended up with something quite far from it though i play a bit of acoustic guitar. >We relocated to Paris in October 2005 and began work on a 4th lp with musicians both from Bristol and Paris. Now in 2009 the disc is mastered and heading for a release in may 09. French gigs will feature Christophe Malherbe on bass and Philippe Sirop on drums. Uk gigs still with Paul Mcguinness, bass and Jamie Whitby-Coles on drums. 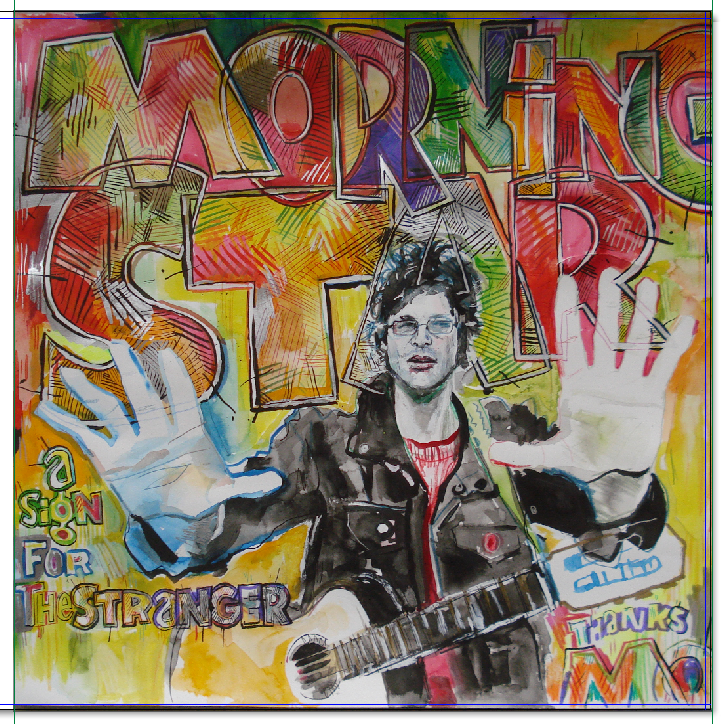 The first morningstar record was released in 1997. The second "My Place In The Dust", produced by John Parish came out in 2001 and the 3rd record, "The Opposite Is True" in may 2005. >Morningstar have been berforming live since 1998 and have played throughout the UK, France, Spain, Ireland, Japan, USA, Greece, Belgium, Germany, Italy and Switzerland. Each concert is a cosmic journey through the history of modern music traversing such varied terrains as psychedilia, doo-wop, alt. folk, gothic rock and otherworld music. Future plans include a twanging rock and rhythm record by the end of 2029 and an orchestral opus sometime in 2030, these both partly recorded already..... oh yes they are.